If you consider an artist’s works in chronological sequence (bibliography as well as discography) certain landmarks blot out their neighbors. In the case of Coleman Hawkins, there’s BODY AND SOUL, then the Hampton Victor date, then his big band — leading up to the small-group sessions of 1943-44 for Signature, Keynote, Savoy, and more. The Varsity Seven sides — full of delights — recorded in December 1939 and January 1940 — haven’t received the admiration they deserve. Hawkins’ admiring biographer, the diligent John Chilton, calls them “a pastiche of Dixieland.” I disagree. The Varsity label (please note the transparent pseudonyms for Hawkins and Carter) was run by Eli Oberstein, and it never seems to have been entirely out in the open. I don’t know that Oberstein was the equal of Herman Lubinsky of Savoy, but Eli seems to have been ingenious in his dealings. I believe the masters of these and other sessions were bought by Savoy, and thus the trail to licit reissues is complex. Were they Victor sessions, they would have been available straightforwardly for decades now, including “official” CD issue. Another side-note is that the session — one or both? 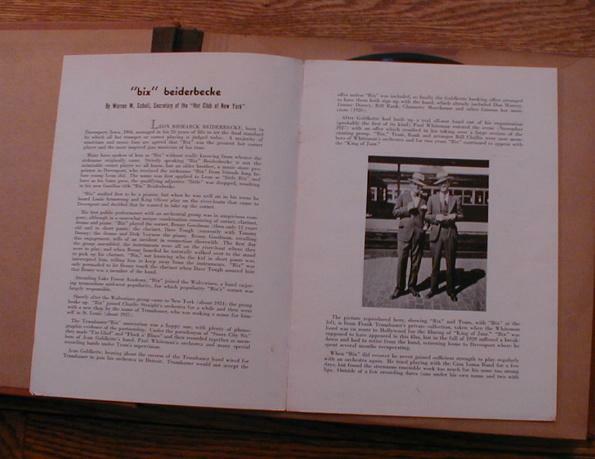 — was co-produced by Leonard Feather and Warren Scholl, which may account for a Feather composition being there. I knew two sides from this date because my Long Island friend Tom Piazza played them for me, forty-plus years ago: SHAKE IT AND BREAK IT and A PRETTY GIRL IS LIKE A MELODY. I don’t know where each of the musicians was working in 1939-40, whether Fifty-Second Street or Cafe Society or uptown, but they come together to create great jazz. Cheerful Jeanne Burns (known for work with Adrian Rollini and Wingy Manone) is a liability, but we’ve all heard less polished singers. Here’s the information for the first session. Benny Carter, trumpet, alto saxophone; Danny Polo, clarinet; Coleman Hawkins, tenor saxophone; Joe Sullivan, piano; Ulysses Livingston, guitar, vocal; Artie Bernstein, string bass; George Wettling, drums; Jeanne Burns, vocal. New York, December 14, 1939. Fast forward to January 15, 1940: the same personnel except Big Joe Turner replaces Burns, an improvement. These aren’t flawless records. Some of them might have benefited from a second take. But they are uplifting examples of the stars willing to come in and play two dates for what I imagine was scale. All in a day’s work — and how glorious the results are. Posted in "Thanks A Million", Bliss!, Generosities, Hotter Than That, Irreplaceable, It's All True, Jazz Titans, Mmmmmmmmmmmmm!, Pay Attention!, Swing You Cats!, That Was Fun!, The Real Thing, The Things We Love, Wow! By the time everyone gets to read this post the eBay article below will have been sold. Still, I think it’s worth noticing. 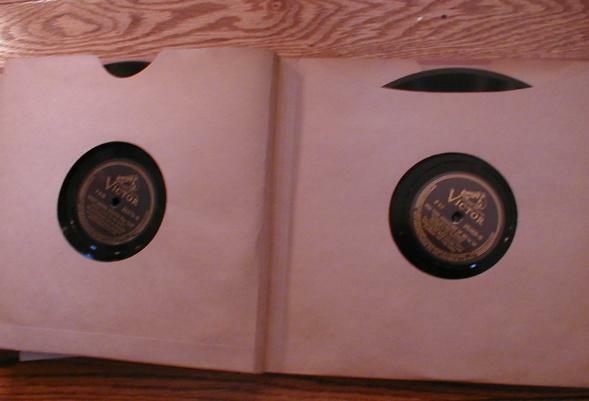 When I was first visiting New York City on my own — intermittently and as part of a high-school independent study group, I found a shop still selling 78 rpm records in midtown. Was it the Merit Music Shop? It isn’t clear in my memory, and I thought the owner might have been a Mr. Meltzer. Details gratefully appreciated from any New Yorkers! Mr. Meltzer wasn’t all that welcoming, although he wasn’t any worse than superficially gruff. I bought a number of Commodore 78s for three dollars apiece, and a Disc three-record Pee Wee Russell set that I wish I had today (although I have the music on CD). 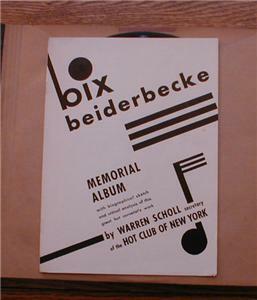 But I had read, somewhere, of the fabled Bix Beiderbecke Memorial Set on Victor — circa 1936 — and I asked him about it on my first visit to the shop. “That?” he said derisively. “That was gone thirty years ago!” and thus the conversation came to an abrupt halt and I went into the shelves to look for marvels (which were to be found). Thus, while idling through eBay this evening, it was a remarkable shock to come across this same set — advertised as never played (why? under what circumstances?). Feast your eyes. 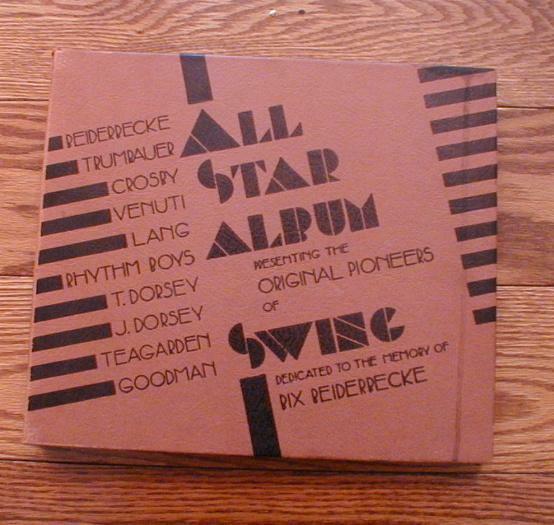 All the music is no doubt available in a hundred issues, but this is rather touching — with the names of the SWING players there for the unaware buyer. I love the Deco typeface! When 78 record “albums” came with separate explanatory brochures. Heartfelt — even if inaccurate — no doubt. The seller wants (or wanted) $45.00, which seems far less extreme than other prices. I will forego the pleasure of buying something as an adult that was beyond my reach in childhood, but I find the sight of this album moving. I am happy to have seen it, even now. REMEMBER: ALL MONEY COLLECTED ON THIS SITE GOES TO THE MUSICIANS WE LOVE!